Bicycle! Bicycle! : A Bicycle Built for Tea for Two. A Bicycle Built for Tea for Two. 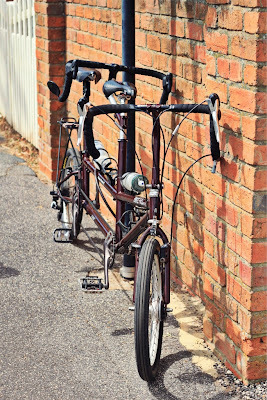 Spotted at the infinitely charming Evandale Village Fair and National Penny Farthing Championships this weekend in Tasmania: The following (folding!) 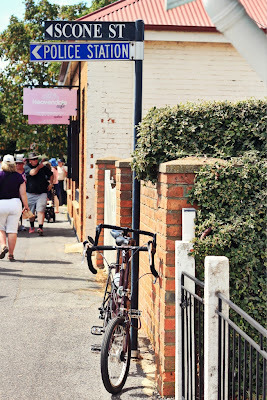 tandem bicycle parked neatly next to the sign for 'Scone Street'. Upon sitting down to do this post I was astonished to discover via Google that the Bike Friday had come all the way from the Hipster Homeland, Oregon USA! 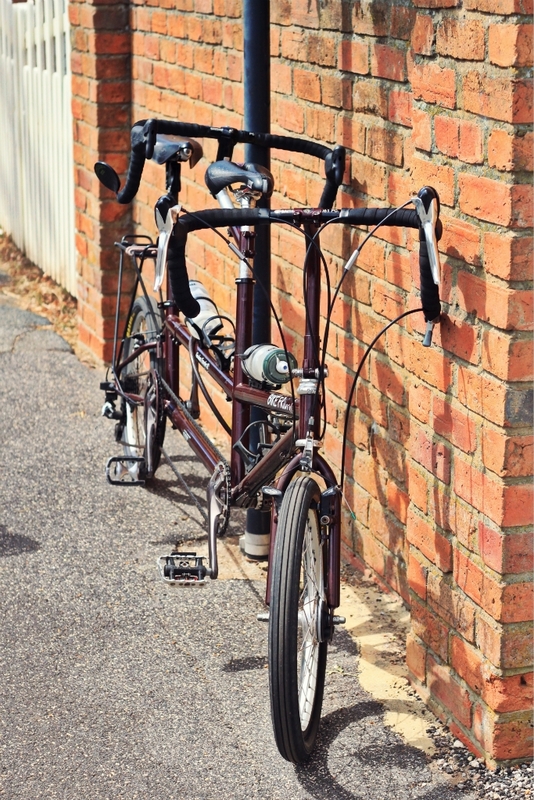 It gladdens my heart to think of the little folding tandem from America, so far from home but bringing so much pleasure to its passengers, cruising around the eucalypt scattered streets of our tiny island. I'm really enjoying the cycle space blog and looking forward to Bike Hour! That's brilliant! Although the vision for bike hour is of people noodling around nowhere in order to share the most inane iPhone clips via Facebook, hypocrite that I am, I usually try to organise a mustering point after, for likeminded geniuses to kick tires and share a beer. A few of us (not sure how many) will be down at Launceston seaport. You simply have to come join us!! !